Douglas Temples is a South Carolina native currently living in Central Illinois. As a Chamber Musician, he has performed at the Spoletto Music Festival, the Madeline Island Chamber Music Festival, The American Viola Society Festival, and the Southeastern Composers Symposium. A dedicated teacher, Douglas has a private studio of over 10 students and has taught at the Vivace String Orchestra Camp and the Illinois State University String Project. During the upcoming season he will be performing with Sinfonia Da Camera and the Illinois Symphony. As an avid champion of new music, Douglas has performed with the Durward Conteporary music ensemble, The University of Tennessee Contemporary Music ensemble and on the Illinois State University Music Factory and Red Note concert series. He has premiered works by Laura Schwendinger, Gideon Klein, Brian Palmer Gee, Louis Solis, David Floyd and others. 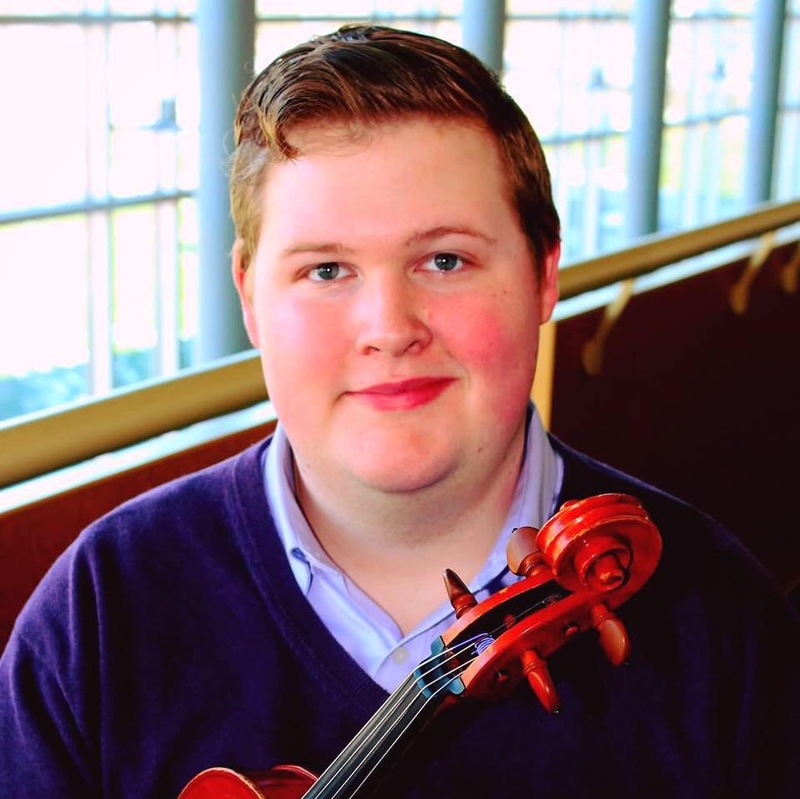 While working on his Master’s at Illinois State, Douglas along with two collegues presented at the American Viola Society Festival in Los Angeles their project “Three Violists and a Skillet: the alternative to a summer music festival”. An idea that gave alternatives to a traditional summer music festival. Douglas and his collegues were also invited to perform the York Bowen Fantasie for Four Violas as a part of the Viola ensemble inventational. Douglas is also a co-founder of the “...And friends” chamber music concert series. A collection of concerts performing a mix of standard repertoire and contemporary music. The inaugural concert will be held in August 2018. Douglas began his musical studies on piano but later switched his focus to the viola. Currently, he is pursuing a master’s degree in viola performance and orchestral conducting at Illinois State University where he is a graduate teaching assistant studying with Dr. Kate Lewis (viola) and Dr. Glenn Block (conducting). He graduated with Honors from the University of Tennessee where he studied with Hillary Herndon. Upon graduation, he was awarded the Outstanding Graduate of the School of Music, an award based on academic excellence and career promise. At UT he was invited to be the rehearsal soloist for performances of the Hummel Fantasy for viola and orchestra, he was awarded an undergraduate research grant to pursue research at the Meadowmount School of Music, and he was selected to represent the string department in the NASM reaccreditation concert. He has served as principal viola for The University of Tennessee Symphony, Opera, and Chamber orchestras as well as for the Marble City Opera Company and the Clarence Brown Theatre Pit Orchestra.